Neil has worked in aviation for over 20 years, initially learning to fly at his local flying club. Since then, Neil has accrued many years of experience in airline operations with scheduled and charter airlines, providing an in depth working knowledge in areas such as navigation services, in order to provide the airlines with the most cost effective route scheduling structure, to maximise fuel cost savings. 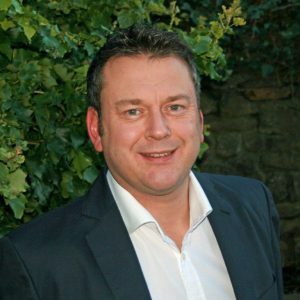 After leaving the airlines, Neil spent a number of years working in business development for a large aircraft charter brokerage, successfully growing their new business client base, and developing existing client relationships, before setting up Freedom Air in 2003. Neil continues to oversee the day to day running of Freedom Air, which has enjoyed exponential growth year on year, since inception. Neil joined BACA in 2004 as a member, and has sat on the council since 2005. Neil is passionate about continuing to help develop BACAs growth and voice, and the vital role which BACA has within the aviation industry. During what spare time he has, Neil is a RFU licensed Rugby coach, and spends his time with family where they all enjoy off road mountain biking, and he enjoys travelling to wherever it is hot, and Sunny.